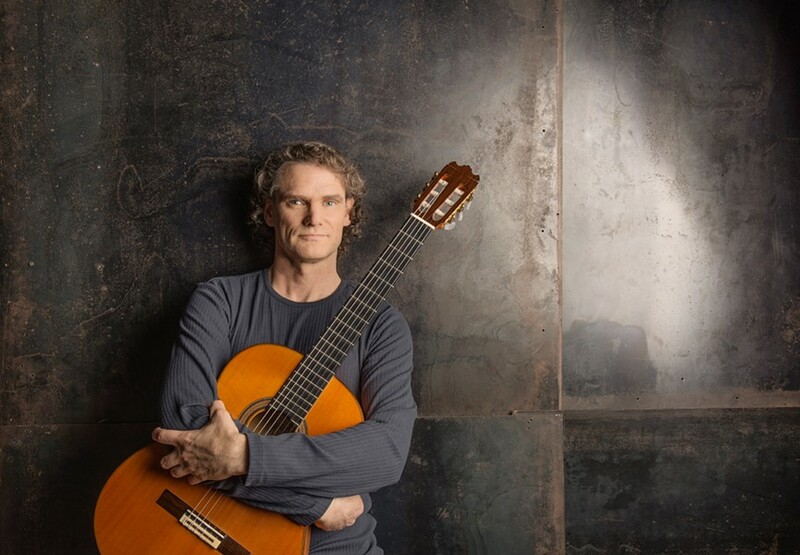 If you want to get an idea of the crisp, authoritative playing of Canadian guitarist and composer Jesse Cook, check out the official video for "Double Dutch" off his new album Beyond Borders, which debuted at No. 1 on the iTunes World Music Albums Chart upon its Sept. 15 release last year. It'll quickly become apparent why Cook is a JUNO Award winner—the Canadian equivalent to the Grammy Award. FLASHING FINGERS Amazing acoustic guitar master Jesse Cook plays Tooth & Nail Winery on Feb. 18, as part of his Beyond Borders tour. Playing a mix of New Flamenco, world music, and ethno jazz, Cook has performed all over the world, selling more than 1.5 million records. Born in Paris, he spent his first few years moving between France and Barcelona, Spain. After his parents divorced, he moved with his mother to her native Canada, where he was trained at Toronto's Eli Kassner Guitar Academy. On Beyond Borders, a follow-up to 2015's One World, Cook "explores a sonic landscape unfettered by geography, ethnicity, and musical styles to forge a unique world music hybrid," according to his press materials' apt description. "I want to take people to places they haven't been," Cook said. "I like music that provides a common ground for different traditions, a space where music from all historical eras and parts of the world can mingle. If music is the universal language, maybe there is something it can teach us?" Jesse Cook brings his Beyond Borders tour to Tooth & Nail Winery for a Numbskull and Good Medicine Presents concert on Sunday, Feb. 18 (5:30 p.m.; all ages; $40 presale at Boo Boo Records or ticketfly.com or $45 at the door). Expect exotic, mesmerizing acoustic instrumental compositions delivered with virtuosic ferocity. BONES Hip-hop group Bone Thugs-n-Harmony plays the Fremont Theater on Feb. 17, touring in support of their newest, New Waves. Fremont Theater's got two badass acts coming at you this week, one a hip-hop conglomerate and the other an outlaw country and Southern rocker. I always thought the names of the five rappers of Bone Thugs-n-Harmony might have been inspired by Snow White's seven dwarves. Bizzy Bone, Wish Bone, Layzie Bone, Krayzie Bone, and Flesh-n-Bone were first signed to Eazy-E's Ruthless Records in late 1993, and their EP Creepin on ah Come Up included their first hit, "Thuggish Ruggish Bone." 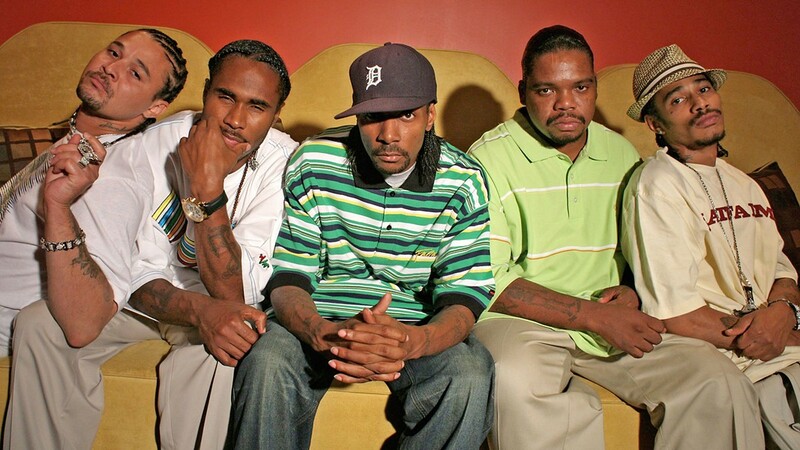 By 1997, they won a Grammy Award for "Tha Crossroads" from their second album, E. 1999 Eternal. This Saturday, Feb. 17, Bone Thugs-n-Harmony plays the Fremont Theater, touring in support of their 11th album, 2017's New Waves (9 p.m.; $32 at Boo Boo Records or eventbrite.com). 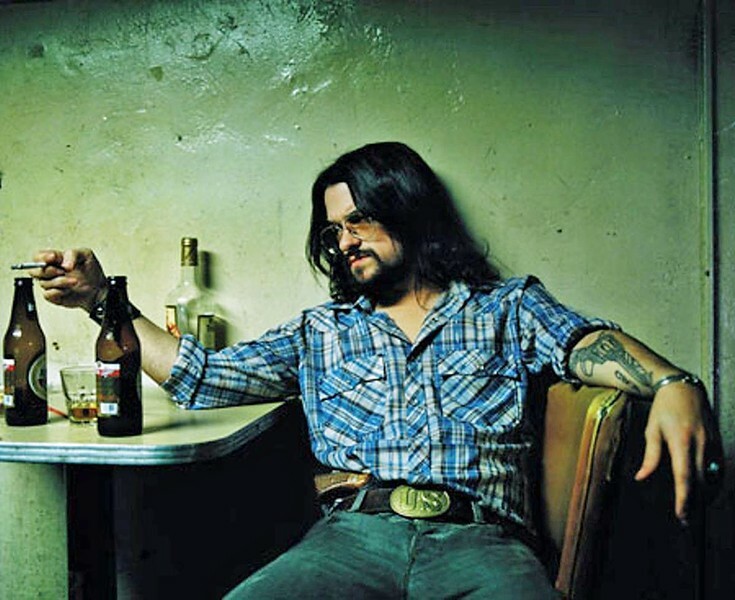 Shooter Jennings, son of Waylon, comes to the Fremont on Wednesday, Feb. 21 (9 p.m.; all ages; $22 at Boo Boo Records or eventbrite.com), with Jade Jackson opening. Shooter entered the music scene in 2005 with the release of "4th of July," off his album Put the "O" Back in Country, which rose to No. 22 on Billboard's County Chart. In 2016, he released his 10th studio album, Countach (For Giorgio). OUTLAW COUNTRY Shooter Jennings, son of Waylon, plays the Fremont Theater on Feb. 21. Jade Jackson is, of course, our local chanteuse from Santa Margarita, who released her major label debut, Gilded, last year on Anti-. She's been touring ever since, including a lot of opening gigs for Social Distortion on their national tour. This ought to be great evening of gritty country. The Graduate will be blowing its roof off this Wednesday, Feb. 21, when new bass hip-hop producer Datsik brings his Ninja Nation tour to SLO Town ($29.50 to $34 at Boo Boo Records or eventbrite.com). 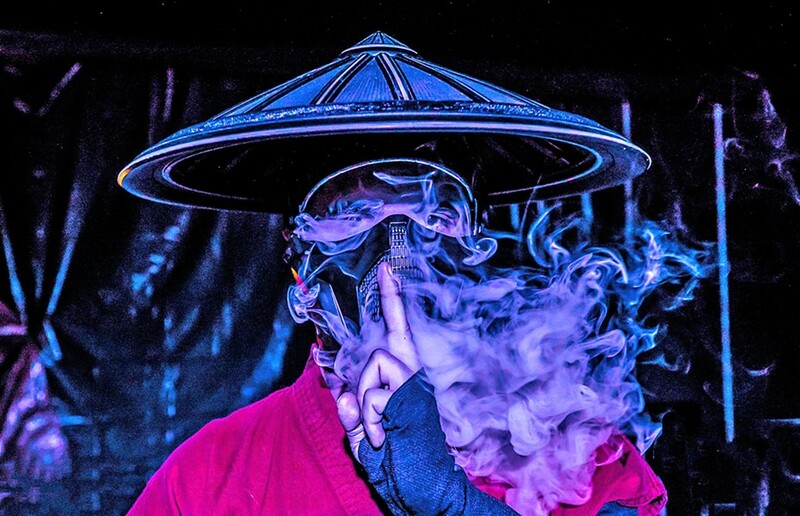 According to press materials, Datsik is obsessed with ninja culture, and he's coming "armed with his state of the art 'SHOGUN' visual production and some shaolin bass from the infamous PK-Sound." ENTER THE NINJA EDM new bass producer Datsik brings his Ninja Nation tour to The Graduate on Feb. 21. Datsik—born Troy Beetles in Canada—will present a techy, Asian-themed backdrop, wearing an LED-festooned ninja helmet and facemask. Apparently, many of his audience members follow suit, which Datsik told the Chicago Tribune he finds flattering: "It's crazy to me that they're even listening to my music, let alone adopting the brand. What's cooler than a ninja?" His new seven-track EP, Master of Shadows, was released just last month. He'll be joined by Space Jesus and RIOT TEN, with Wooli, Carbin, and Swage alternating in opening the show. Datsik, a former pizza delivery guy, Mortal Kombat and Wu-Tang Clan fanatic, and now EDM impresario, also told the Tribune he has a fallback thing if the DJing doesn't work out. He's been trading in crypto-currency such as Bitcoin. What could go wrong? See you ninjas at the club ... or will you be cloaked and invisible? The Clark Center in Arroyo Grande has three fun shows teed-up. I told you last week about Beach Boys founding member Al Jardine and his A Postcard From California: From the Very First Song with a Founding Member of The Beach Boys show, which will include acoustic songs and personal stories on Saturday, Feb. 17 (7 p.m.; all ages; $39, $49, $59, and $95 VIP—which includes a meet-and-greet with Jardine—are available at (805) 489-9444 or clarkcenter.org). ALMOST SOLD OUT! Abba tribute band Abba Mania plays Feb. 24, at the Clark Center. Few tickets remain! The venue also hosts All Hands on Deck! this Sunday, Feb. 18 (4 and 7:30 p.m.; all ages; $54.50 to $34.50; seniors get $2 off, those 17-and-under are $14.50). Expect an "authentic American roadshow and radio broadcast re-creation circa 1942 filled with heartwarming songs, tight harmonies, rousing on-air antics, classic commercials, and a sing-a-long excitement," according to the Clark Center. 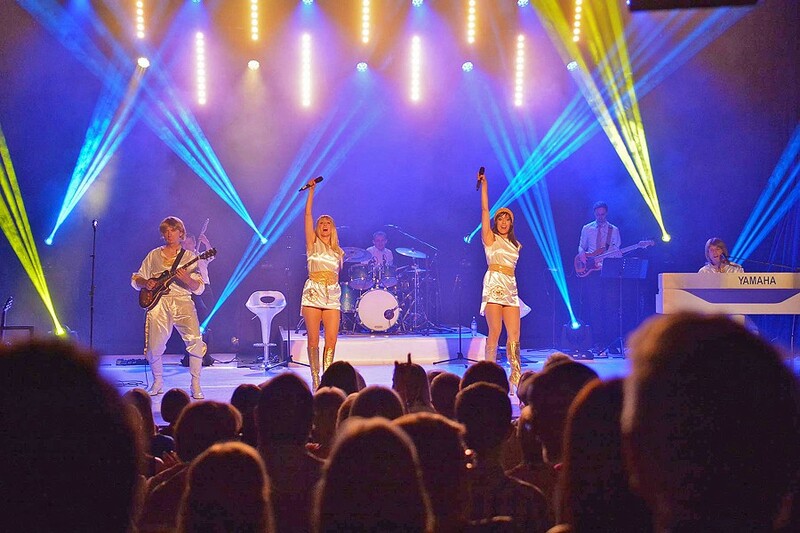 Relive your love of all things ABBA when ABBA Mania plays next Saturday, Feb. 24 (8 p.m.; all ages; $40 to $52; this one's almost sold out!). Hear "Dancing Queen," "Take a Chance on Me," "Mama Mia," "Fernando," and more. 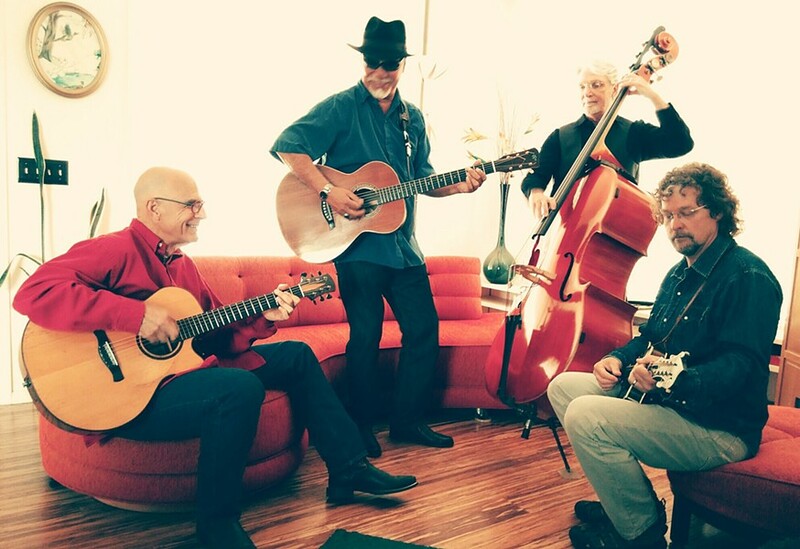 The David Luning Band returns to Música Del Río for an Atascadero house concert this Friday, Feb. 16 (8 p.m.; all ages; $20 reservations required at (805) 466-6941). The Sonoma-based singer-songwriter and his band blur the lines between Americana/alternative country, folk, and blues. TAKE THE RIDE Blues, Tex-Mex, country, and folk quartet, The CC Riders, play Feb. 17, at D'Anbino Cellars. The excellent blues, Tex-Mex, country, folk, and more quartet, The CC Riders, on Saturday, Feb. 17, at D'Anbino Cellars (7:30 p.m.; 21-and-older; $15 at (805) 227-6800). Featuring Kenny Blackwell, Ken Hustad, Louie Ortega, and Dorian Michael, expect stunning musicianship, an eclectic repertoire, and four guys who know how to have fun. The Famous Jazz Artist Series returns to Painted Sky this Sunday, Feb. 18, with jazz saxophone legend Lanny Morgan (6:30 p.m.; all ages; $20 general or $10 for students at (805) 927-0179). 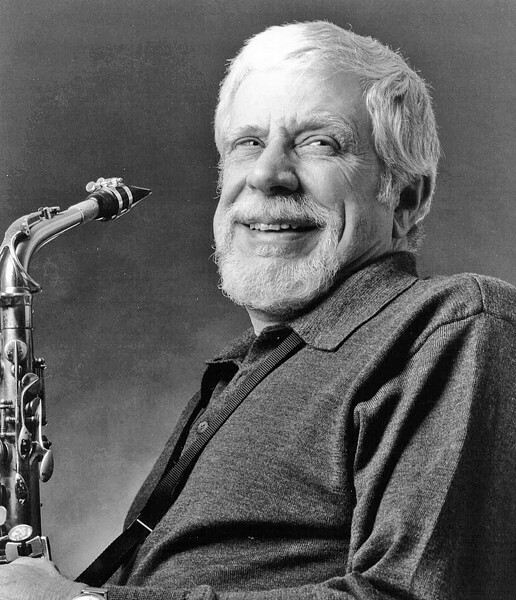 Hailed as "The Dean Of West Coast Jazz Saxophone" by Downbeat magazine, Morgan will be joined by local players Ken Hustad (bass), Darrell Voss (drums), and concert hosts Charlie and Sandi Shoemake (vibes and vocals respectively). LEGEND The Famous Jazz Artist Series returns to Painted Sky on Feb. 18, with jazz saxophone legend Lanny Morgan. Susan and Tom Davies are to music education what Albert Schweitzer was to humanitarianism. After long and amazing careers at Cal Poly where they inspired thousands of students to play or appreciate music, they are about to embark on a much-deserved retirement. The Foundation for the Performing Arts Center's third annual Swanson Fund Luncheon will be held in honor of the Davies, who spent more than 34 years teaching and composing music. On Sunday, Feb. 25 (11:30 a.m.; all ages; $75 each or a table for eight for $600; at pacslo.org), at the Performing Arts Center, the event will be equal parts luncheon and variety show, as the Davies' peers, students, and colleagues take turns paying tribute through music, monologue, and story. John Wessel named his new album I'm a Lone Wolf, and considering that he plays all flutes, saxophones, keyboards, some bass lines, acoustic guitars, hand drums, and all vocals on the album, that seems like a fair assessment. OK, he did enlist help from Brian Cohen, who plays all electric guitars and some acoustic guitars on the album, but it's otherwise all Wessel all the time. Wessel also wrote all but one of the album's nine tracks, and he recorded and produced the album himself. Lone wolf indeed! Wessel, who plays with local rock act Shameless and the trio J and B Rocks, has been a big part of the music scene for as long as I can remember, and every so often he releases a new solo album. His style is steeped in the classic rock sounds of the '70s, and tracks such as "No Hate" have the sort of optimistic sounds of the Laurel Canyon days: "No hate for color, no hate for religion, no hate for the poor, no hate for the rich," he sings in his gritty-reedy tenor. I think my favorite song on his new album is "Down in Mexico," which has a great, hooky chorus, but his cover of The Kinks' "Lazing on a Sunny Afternoon" is also a lot of fun.